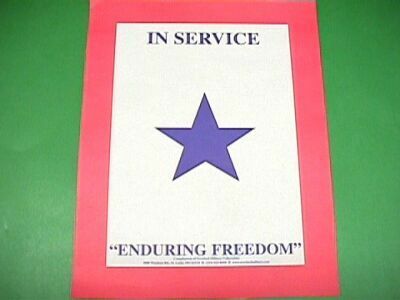 Use of the Service Flag dates back to World War I. A Gold Star indicated a loved one had been killed. The number of stars indicated the number of loved ones in service. Use of the flags continued through World War II. 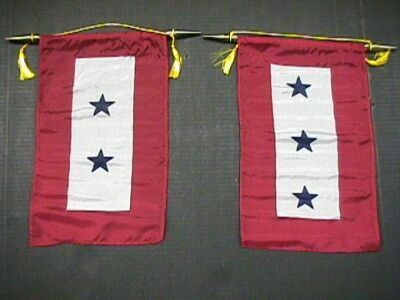 A Service Flag is the appropriate way to show support of your loved one in the military service. Proudly display this flag at work or home. 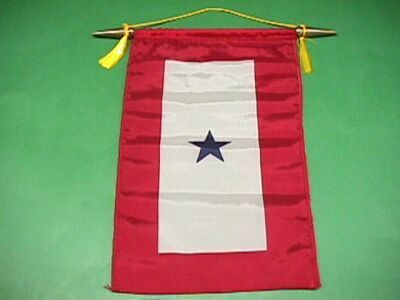 Single Blue Star Flag $12.50 postpaid in the U.S.A. Double Blue Star Flag $15.00 postpaid in the U.S.A. Triple Blue Star Flag $17.50 postpaid in the U.S.A. 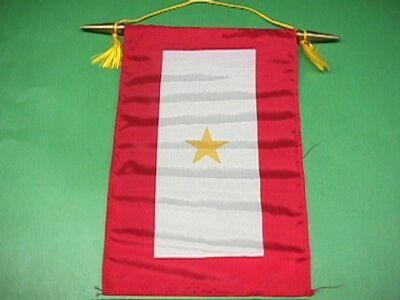 Single Gold Star Flag $17.50 postpaid in the U.S.A.